Soon to enter their prime-earning years, it’s understandable why so much attention is paid to the Millennial generation. By definition, as of 2019, Millennials are between the ages of early-to-mid 20s to late 30s, which no longer encompasses only your older college-age or recent grad-consumers. 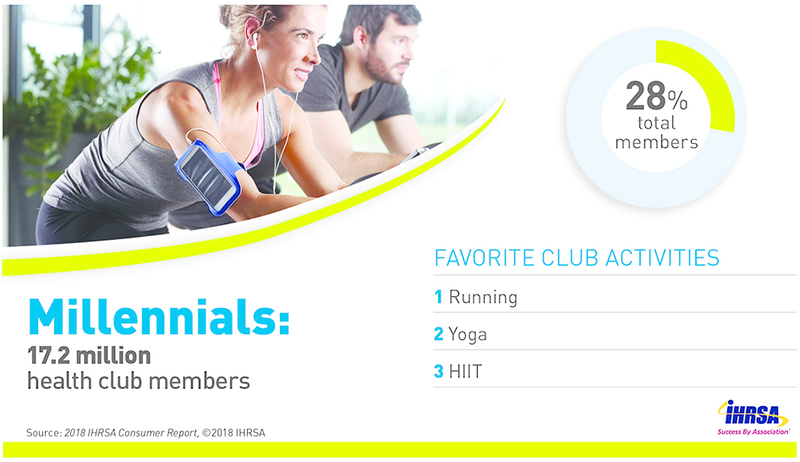 According to the The IHRSA Health Club Consumer Report, Millennials account for 28% of total members, second only to Generation X. To better understand this segment, soon to come of age in earning power, The Health Club Consumer Report highlights three keys. 1. Millennials are most likely to be multiple health and fitness facility users (at least for now). You may be familiar with this finding from previous IHRSA articles on the Millennial consumer. Multi-facility ownership has been the calling card of the Millennial in recent years as a transient group consisting of students, recent grads, and most likely unmarried singles. In 2017, 39% members between the ages of 18-24 belonged to more than one club, while 23% of members between the ages of 25-34 belonged to multiple health and fitness facilities. As a consumer, the young Millennial may not have the same fiscal responsibilities as older age groups, which allow the younger adults to spend more on personal and leisure interests like health and fitness. Although they may not have the spending power of their Generation X counterparts, Millennials are showing at a young age that they place a high value on their wellness and athletic goals, evident by multi-facility usage. Successful clubs and studios that cater to Millennials have accepted and capitalized on the multi-club usage tendency of this age group. Looking ahead, as Millennials enter their peak earning years and set up roots starting a family and buying a home, it will be interesting to see if their health and fitness facility preferences gravitate towards one club, gym, or studio. For now, it’s clear that Millennials are inclined to use more than one facility to work out, coinciding with the growth of boutique studios. 2. Boutique studios attract a significantly larger percentage of Millennials than other facility types. Along with Generation Z, the youngest age demographic examined in the report, Millennials are drawn primarily to boutique studios. Full-service commercial health clubs tend to attract Generation Xers, while nonprofit facilities tend to reel in Boomers and Silents. 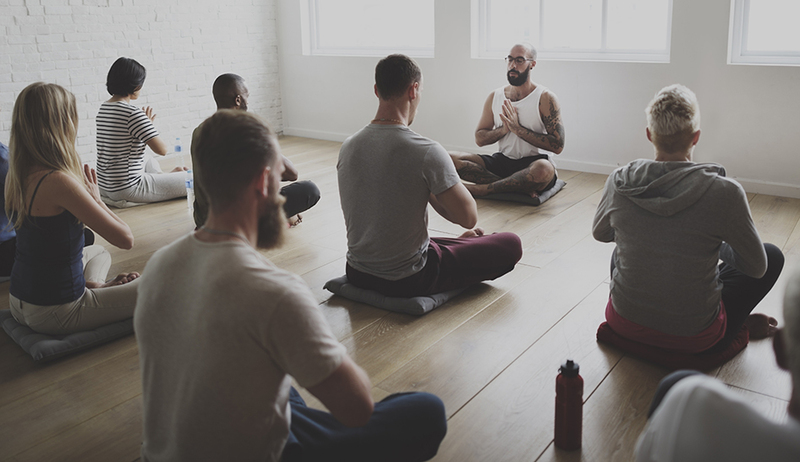 Millennial utilization of studios is understandable as the most popular activities among them are typically offered at studios: yoga, HIIT, barre, boot camp, and Pilates. Although Millennials can participate in activity-specific training and classes at many full-service clubs, Millennials are showing a preference for specialization and experience. Millennials are paying more per club/studio visit for a customized experience. 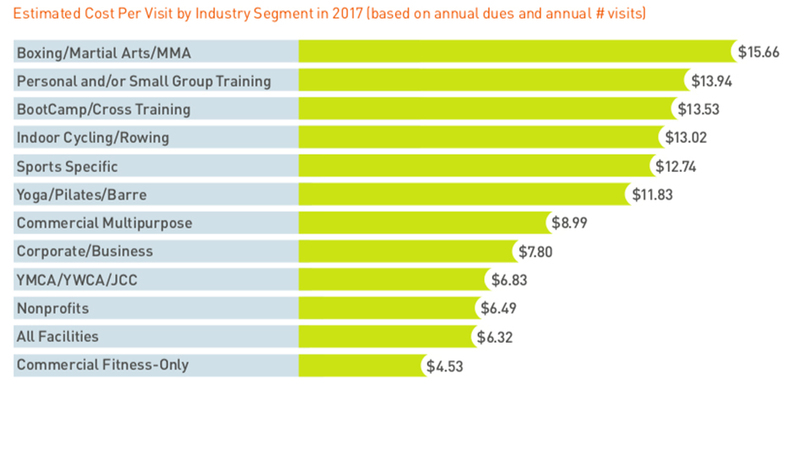 Based on data from The Health Club Consumer Report, the average estimated cost per visit to a studio facility ranged from $11.83 to $15.66, whereas the average for full-service facilities ranged from $4.53 to $8.99 per visit. 3. Millennials are more likely to engage in any training format: personal and small group. More than one-third of Millennial health club-goers participate in personal training (37%), while nearly two out of five engage in small group training (39%). Millennial health club consumers have the highest personal and small group training utilization rates across generational groups. This may be understood in light of their frequent participation in studio facilities, which primarily offer programs taught by a fitness trainer. Full-service club operators can stand to gain from the increased likelihood of Millennials to engage in personal or small group training. Offering a specific training workshop for a limited number of sessions in a small group training setting can join together members with similar fitness or athletic goals. Even more, cultivating a studio concept within a club, if space allows, can make a full-service club stand out from peers. Does Your Health Club Equipment Match Your Demographic? The one-size-fits-all health club is a thing of the past. Here’s how to better tailor your equipment investment to your membership.